Phytoplankton–organisms such as cyanobacteria, green algae, and diatoms–are good indicators of water quality. The problem is that they are tiny and you need a microscope–and a lot of training–to identify them. Good news is that all of the organisms have unique DNA and are pretty abundant in waters, which means we can sequence them. We’re still in testing phase for phytoplankton, but are settling in on an approach that will rapidly allow us to quantify phytoplankton assemblages. Using a plastid marker, we ran some tests on assorted samples we had collected. Some were from a reservoir in Colorado, a few were from a backyard koi point, and others were from rivers and ponds in Kansas. The plastid marker we were using separated out the waters well. 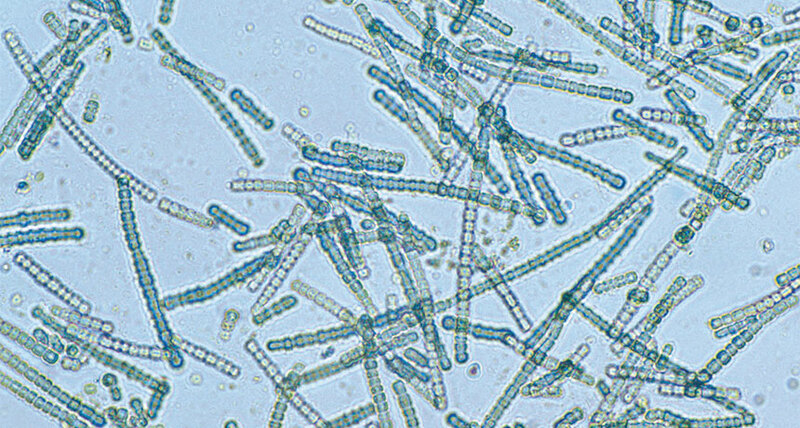 CO reservoirs are ID’d by their Cyanobacteria. My koi pond by green algae and dinoflagellates. KS waters by their diatoms. We’ve tested these out with other streams and feel they are working pretty well here, too. We still have more testing to do, but we’ll likely be ready to offer phytoplankton testing soon.